While the World Bank has a mixed record in Haiti, it and the Inter-American Development Bank (IDB) remain two of the most important multilateral funders of its post earthquake reconstruction. Yesterday, the World Bank announced $255 million in grants for Haiti which will be focused on strengthening education, agriculture, and disaster risk management – all of which are critical for Haiti’s long term development. The World Bank press release follows. 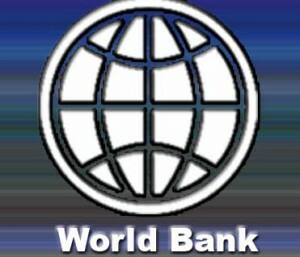 More information about its activities in Haiti are available on the World Bank website. The Inter American Development Bank (IDB) has announced that it will significantly expand investment in renewable energy throughout Latin America and the Caribbean. The IDB intends to spend one billion in Haiti to help develop a new energy infrastructure powered by wind, solar, and hydroelectricity. The current fuel shortage in Haiti underscored the importance of renewable, domestic energy for the country's long term development. Click here for a video clip of IDB President Moreno explaining the new initiative. A fact sheet is also attached. I'll include more information as I find it. The northwest is the poorest part of Haiti, long neglected by the Haitian government and the international community. Most Haitians have neve been here and comparatively little has been written about the region. I recently was able to visit both Port de Paix and the Ile de Tortue, a nearby island that was once a hotbed of piracy. Below is a summary of the area's past, present, and also its potential. Haiti was struck today by the largest earthquake in the region since 1770. Information is spotty but we do know the following: The General Hospital, the Ministry of Commerce, the National Palace (left), and many homes have collapsed. What we do not know is how many have been injured and how many have died. Power lines are down. Comms were also down but are slowly improving. The international airport is still intact. We heard from Matt and he is ok. If half of the Twitter reports are true, this has been a major catastrophe. We will post updates in the comments section, please do the same.